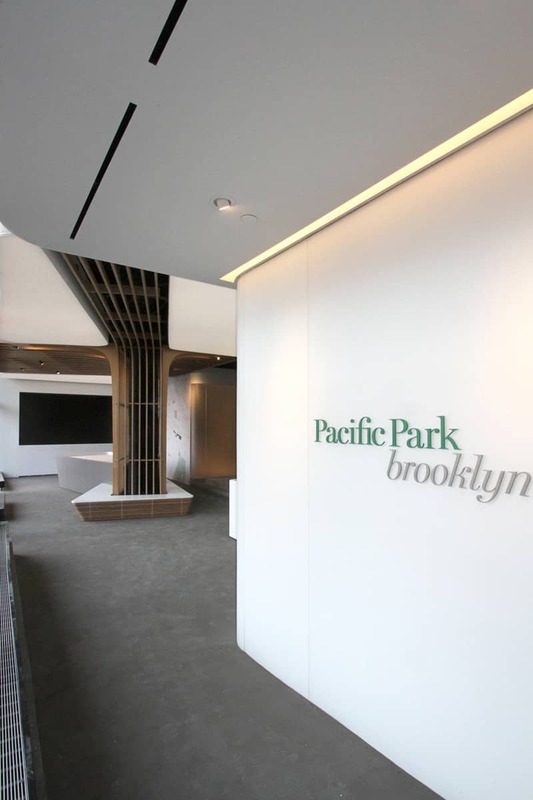 For the sales office of Pacific Park Brooklyn, a mixed-use commercial and residential development project which consists of 17 high-rise buildings, DFA focused on creating an environment that was uplifting and active. 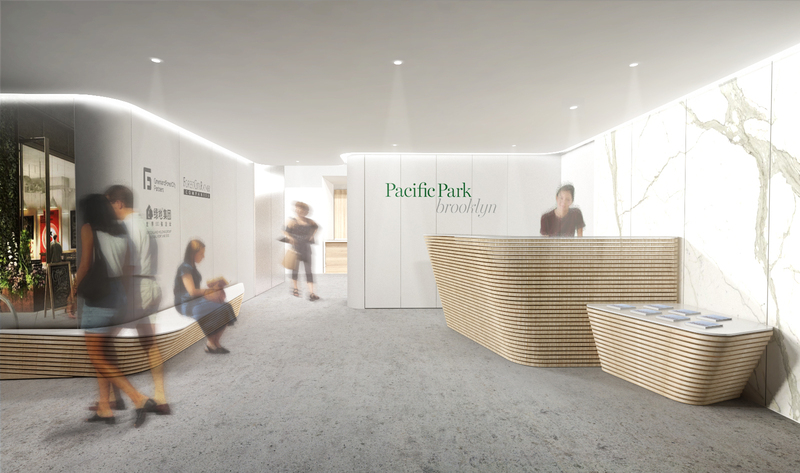 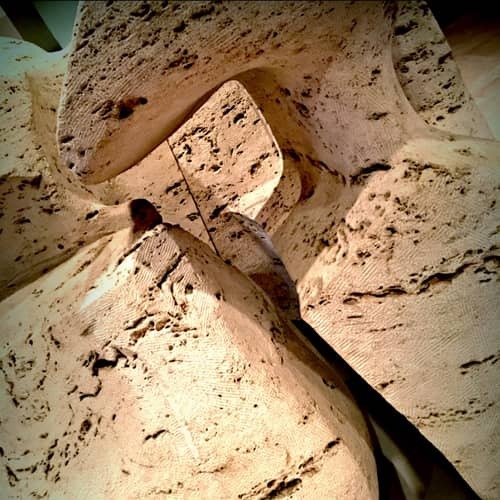 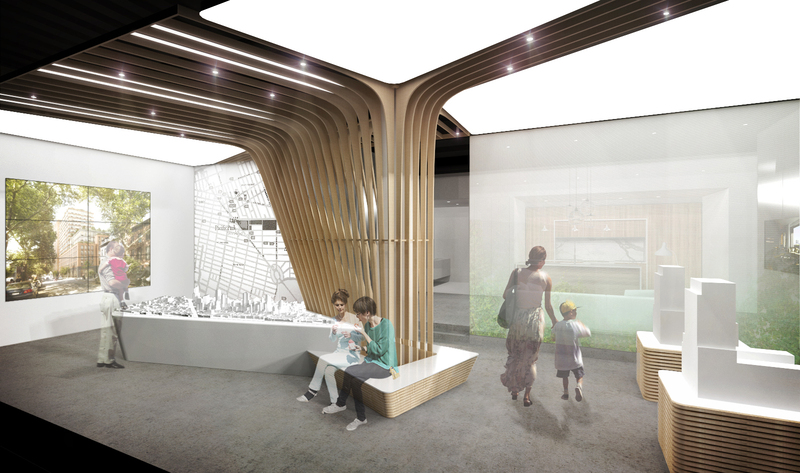 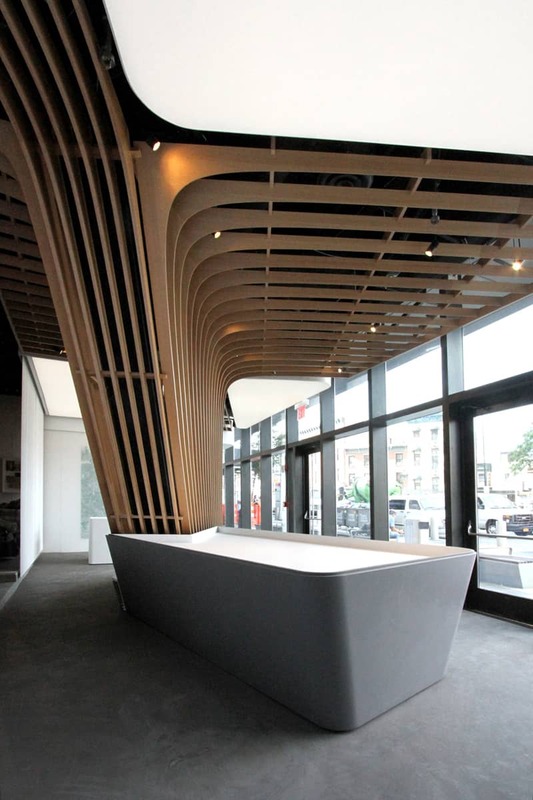 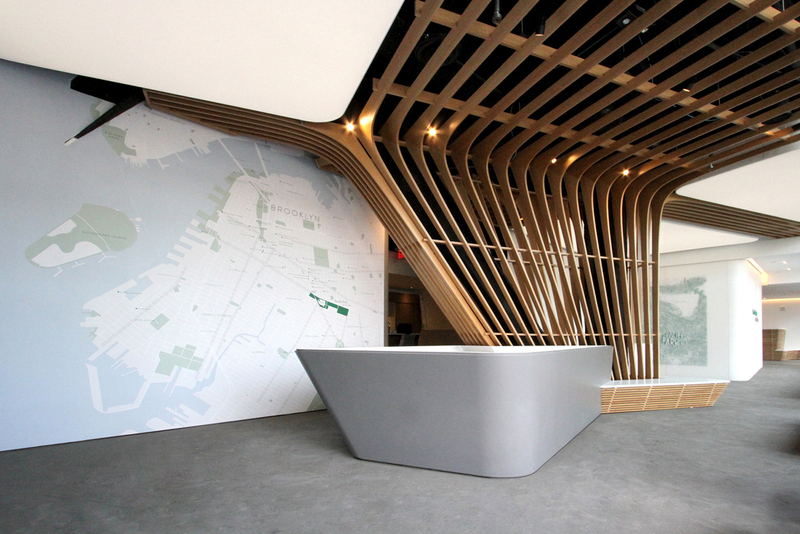 The reception area mimics the natural world, a reference to its proximity to Prospect Park, with an abstracted version of an oak tree structure and bench. 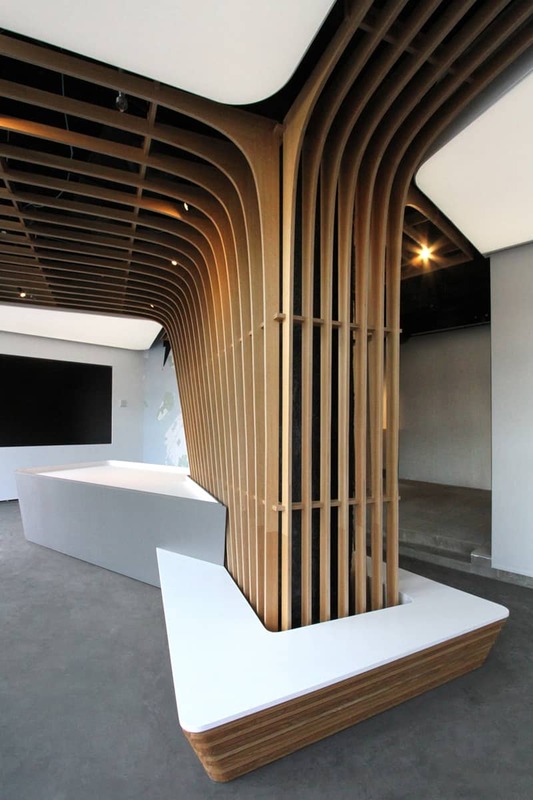 The meeting rooms utilize a Newmat ceiling to add the feeling of daylight in each room, and built with frosted, acrylic panels to signal that the room is occupied when illuminated.